Finally! The new trailer and some more details about the incoming Battlefield V were released on Thursday the 23rd of May. In a live stream, the developers finally came out with some important details for the players. 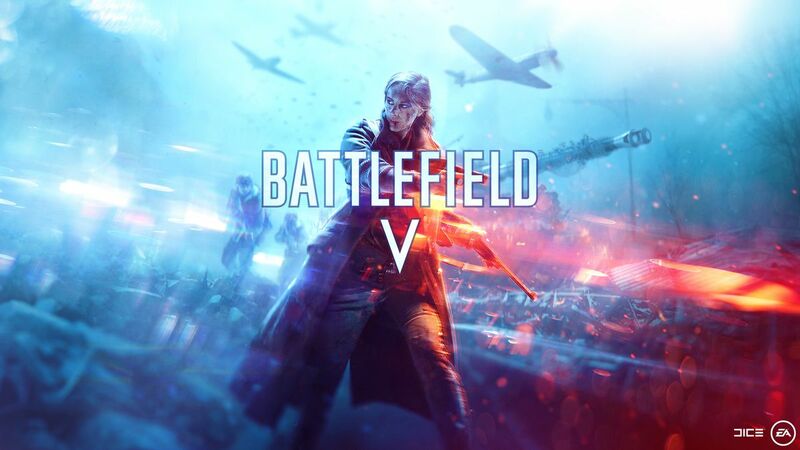 Already some weeks ago, they leaked that BF V will take place in the chaotic times of World War II. So, we were quite hyped, but also scared about, how the actual gameplay would look like and how much it will relate to CoD WWII or the old but gold Battlefield 1942. Here we are now. Let´s talk about, what DICE and EA are going to give us this year. They were talking about new game modes like single player campaigns and innovative multiplayer modes, some general changes, different innovative ingame opportunities and last but not least new skills for our known classes. Let us begin with the general changes. There will not be much longer a premium membership to buy. I am not sure if they are now just going to push up the price for the standard game or if they make the DLCs more expensive, but I kind of like this step. Nothing is more annoying than hanging in the queue and waiting to enter the game for more than 15 minutes, just because you want to save some money. Nevertheless, they denied once again if there will be any pay to win parts. That’s clever, cause we all know it should more be called: “pay to look good “. I guess the battlepack-skin-system will stay the same. Especially because it sounds like you are now able to customize not only your weapons but also the character. Something that can be an awesome addition, as long as it is not getting too colorized. Remember! It is still WWII and not the 80s. But now let’s come to the most important. The Gameplay! The single player stays like in BF1, where it is about tragic and heroic war stories on important but partly unknown battlefields. They keep going to show the incredible stories of resistance fighters, to point out one more time the sacrifices that were brought. One of those stories will about a female Scandinavian rebel, who is going to fight the German Empire in Norway. Personally, I celebrated the war stories in BF1 very much. The decision between a silent assassination, Rambo 2.0 and tactical commando force gameplay is all you need, to get the fun you want. The biggest change will probably be the new styles of multiplayers. The Devs announced the new modes (in addition to the old ones): grand operations and combined arms. After their description of combined arms, it will be some kind of Coop gameplay. As far as we know, you and your friends will spawn as airborne rangers, who landed to fight behind the enemy frontlines. You will be needed to collect your equipment while marching forward. *cough* Battle Royal *cough*. There is no way to not see a connection to the hype train of the last year. 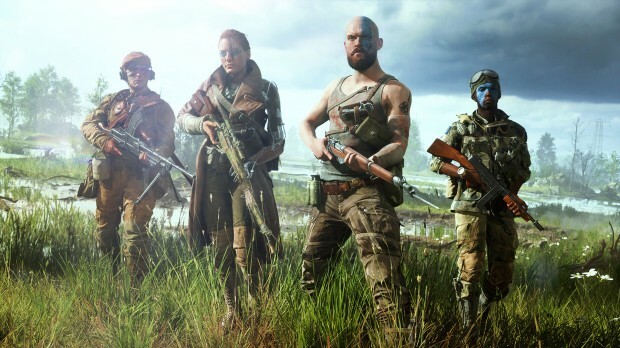 Sure, they will not just add a battle royal mode and it will probably not be related to it in more than the general parts, but Battlefield was and is a game, that can stand for itself. There is no need to follow the broad mainstream. However, that´s just my opinion. In general, I think a Coop mode is a good idea, as long we are not ending in an WWII PUBG and fortnite mixture and will fulfil the hopes of many players. Many players will also be needed for the incoming grand operation mode. This can not become anything less than awesome. The maps are getting bigger than in Operations in BF1 and the fights can take for hours. 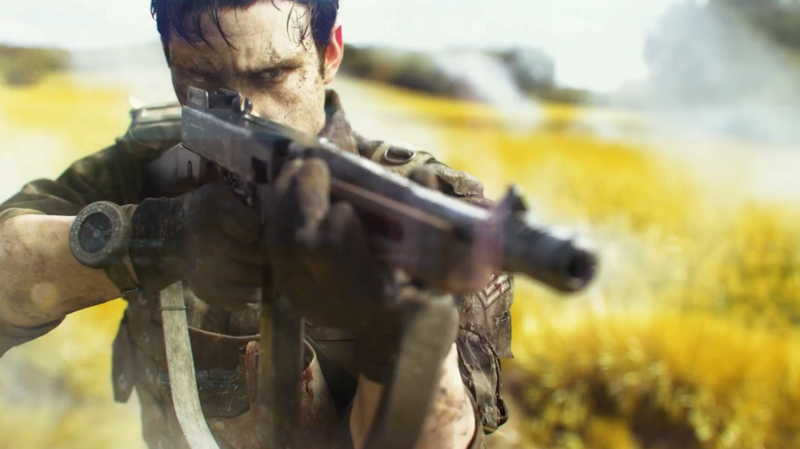 During those Operations, the game modes will change from frontline to frontline and in the end you will face the problem of every real long combat: You will run out of ammo, have limited numbers of revives and respawns and play until last man falls. In my point of view this already should be enough to hype the community for the game. It sounds like they would try to connect all styles of shooters in one game mode. A great challenge and difficult to implement. That may be one of the reasons, why they changed and renewed the skills of the classes to make it a bit easier to stay optimistic through those long battles. From now on, there is not just the medic who can help you to get revived. It says, that every class can do it. No matter if it’s the assault, medic, support or scout, but the medic will still be the most effective one to help you. We have no more detailed information about it, but I could imagine a system, where others than medics pull you out of combat zone or can give you a 20 hp revive. We can only speculate about that, but teamplay seems to be bigger in this game than before. In addition to this class, the support gets an important new skill. The ability to build up walls of sandbags and dig out trenches to get cover for the team. Perhaps, that means more opened battle sides and less static cover. Next to those fortifications, you will also be able to fortify destroyed buildings and make clear frontlines. That’s probably the part, where you get stuck in a combat for two hours, but a nice new option and definitely worth a try to add it to Battlefield. By the way, it looks like vehicles, planes and weapons gets added, how to expect for a WWII setting. Spitfires, Sherman tanks, MG42 and Tommy guns. Perhaps just the Battlefield 1942 arsenal in better graphics. 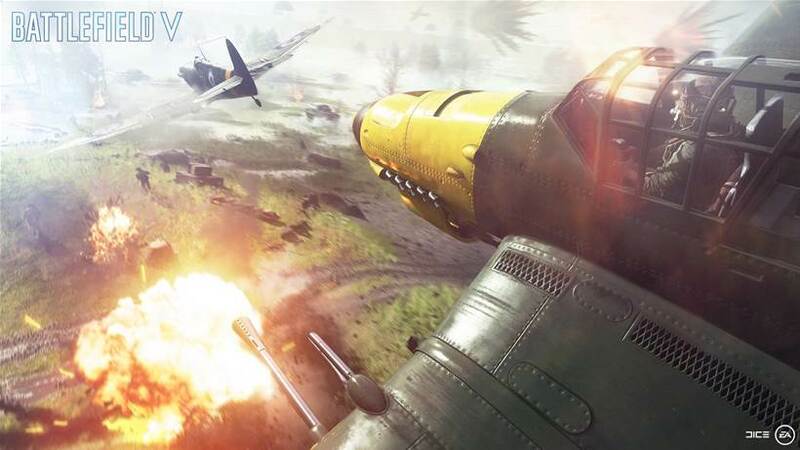 We are just hoping, that the spam of planes and vehicles is not that chaotic, as it gave the impression in the trailer, but DICE and EA will find a way to manage that. Nevermind. Let´s see how they are going to realize it. Waiting for E3!